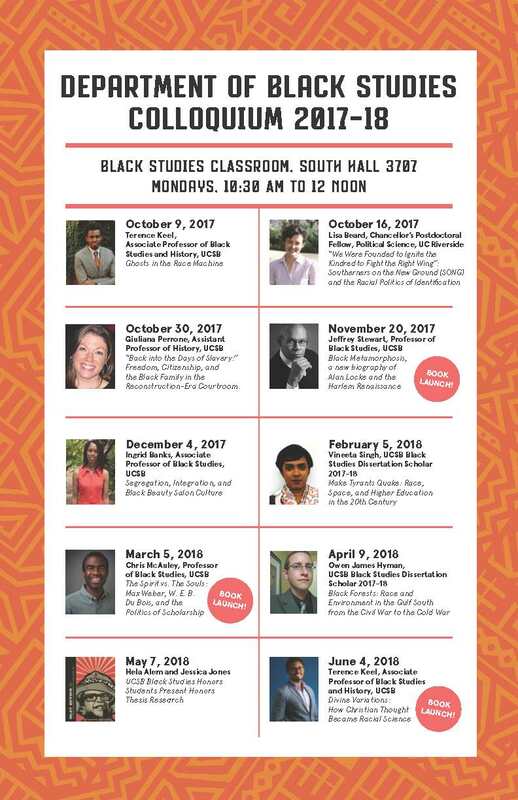 Black Studies Department invites you to attend our colloquium series for 2017-18. Great speakers all year long! All talks will be held Mondays, 10:30 am to 12 noon in the Black Studies Classroom, SH 3707.